Drive for a company invested in your success. Comprehensive benefits package includes life, health, dental, vision, and disability insurance options, paid holidays and vacation. 401k with company match. Thanks to the success of our staff, W&A has made discretionary profit sharing contributions in addition to cash bonuses the last several years and hopes to continue. Get paid for what you do at W&A. In addition to pay per miles, W&A pays drivers per diem, detention, layover, stop pay, drop & hook... even folding furniture pads. We reimburse for personal phone use, and offer incentives for fuel economy and low idle time.W&A has a reputation in safety and customer satisfaction and rewards our drivers for their dedication to these efforts. Now hiring single drivers and teams. Seeking deadline-oriented, dependable, and customer focused candidates. Ensure correct loading of vehicle by loading product or material; directing material handlers. Deliver product or material to destination; assists with unloading as needed. Maintain records by completing driver e-log; obtain shipper and receiver authorizations; file documents. Working knowledge of city and state locations throughout the U.S.
Family owned and operated since 1990, W&A Distribution has built a reputation for safety and prioritizing the satisfaction of employees and customers alike. Our communicative and honest approach ensures positive, lasting relationships along with our dedication to quality service. Located in southern Wisconsin, our team of over 100 professionals helps meet customer needs in 48 states, across diverse industries. 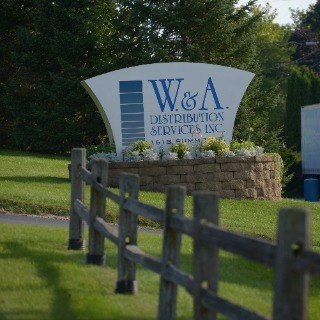 W&A Distribution offers driver opportunities to have the career you deserve. With competitive pay, comprehensive benefits, and quality home time, we make truck drivers a priority. We know change can be difficult, but we’re here to make it easier on you. From answering questions to touring the facilities and equipment, you will know just what to expect. Join a company driven by integrity and shared success.